The Nevada Department of Wildlife (NDOW) performs a variety of wildlife management and boating safety functions. Included in their charter is the issuing of tags and licenses for hunting and fishing. This hunt application process typically includes more than 65,000 applications, in excess of $6,000,000 in receipts, and the issuance of more than 20,000 tags and 30,000 refund checks totaling more than $4,500,000. Historically, big game tags have been issued via a computerized random draw of hunter applications. This process ran on state mainframe computer equipment using a suite of COBOL programs, many of which were 20 or more years old. Nevada Senate Bill 506 authorized NDOW to solicit bids for the development of a computer system for the issuance of tags. NDOW issued an RFP on August 28, 1992 for computer software, hardware and administration of the process. The Senate Bill specifically directed that the 1993 hunt application and draw process (March 1993 to June 1993) be handled by the new system. This necessitated a very rapid development schedule. Systems Consultants (SCI) and 15 other firms bid to develop the software. SCI won the open competition and was engaged in December of 1992 to develop the system and administer the process for 3 years. The SCI solution utilized a PC based Local Area Network (LAN). Programming began immediately and the establishment of the hunt application office began in early 1993. The first task involved the mailing of pre-addressed applications to the hunting public. This occurred in early March of 1993 and applications began arriving shortly thereafter. All of the programs critical to the application process, the draw and the issuance of tags and checks were completed in time to hold the draw on time at the end of May 1993. Remaining system functionality including hunter response card processing, annual reporting, etc., was completed after the first year's draw. SCI passed an independent performance audit in 1995 and the entire process has been universally declared a success and a model for privatization of governmental activities. The Churchill County District Attorney's office is located in the city of Fallon, the county seat of the sixth largest county in Nevada. The office handles more than 1,500 civil and criminal cases each year. With the exception of two IBM PC AT's running a word processing program, the District Attorney's office was not automated. Attorney's and administrative personnel did not have access to the county computer systems or outside information services such as WestLaw. Most important, case management was based upon a manual notebook shared by office personnel. Systems Consultants installed a Local Area Network (LAN) which utilized the existing PCs and printers and added new PCs so that every staff member had a work station. One PC is used as a gateway communications device to allow all staff members concurrent access to the county's IBM System/36. A network modem sharing device was similarly installed to allow everyone access to a common modem and telephone line for access to WestLaw and other outside information services. A new word processing system was installed which included a means of automatically converting documents created in the old word processing system. In addition, a document scanner and software was installed to facilitate translation of hard copy documents. The county code (more than 600 pages of text) was scanned into the word processing system. The publishing of the county code has been brought back in-house at a potential savings greater than the entire cost of the network system. Systems Consultants provided training to staff members in the use of the word processing system and assisted in the development of word processing macro tools, style sheets and prototypical document. Systems Consultants developed a Paradox data base system for case management. This system is multi-user and tracks cases, charges, witnesses, property forfeitures, notes, activities, and follow-ups. The system produces a variety of statistical and management reports reflecting case loads and activity. 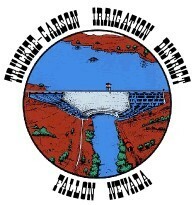 The Truckee-Carson Irrigation District (TCID) is a quasi-governmental agency located in Fallon, Nevada. TCID is tasked with managing irrigation, water storage, and water deliveries in the Newlands Water Project, one of the oldest Bureau of Reclamation irrigation projects in the United States. TCID maintains information about water rights and property ownership for thousands of parcels in churchill and Lyon Counties in Nevada. TCID operates the Lahontan Reservoir, several smaller reservoirs, and an extensive system of canals for irrigation. TCID had legacy accounting systems and a water rights management system written in RPG II and running on an aged IBM System/36 mini-computer. The water rights system was the single largest application tracking thousands of land parcels and more than 10,000 water delivery orders a year. System/36 hardware was failing and nearly out of capacity. Personal computers had been introduced. Small data bases and word processing bad been moved from the System/36 to individual work-stations. TCID needed shared access to common data from the individual PC work-stations and there were shortcomings in the accounting and water systems. Systems Consultants was first engaged to install a PC Local Area Network (LAN). A file server with Novell Netware was installed along with cabling. Existing workstations were connected to the network and printers shared. With the network in place, the existing accounting systems (General Ledger, Payroll, Accounts Payable, and Accounts Receivable) were migrated from the System/36 to a PC based accounting system, Great Plains. Approximately a year after the original conversion and implementation, TCID engaged Systems Consultants to re-write the water management system in Access data base system. The existing data was downloaded to the LAN and converted into Access. The new system was designed to roughly parallel the existing system to minimize conversion and training efforts. However, many user friendly features were added to ease locating information and improve the water ordering process. The Angeles Group develops PC LAN based software to manage telephone systems including call accounting, network design, least cost routing, cable management, trouble tracking, and consolidated billing. The Angeles Group's customers primarily consist of colleges, universities, the military, telephone companies, and large corporations. The Angeles Group had clients who needed to be able to consolidate all of the information in their other Angeles Group systems (call accounting, trouble tracking, etc.) to create a bill for in-house and outside clients. Included in this requirement was a need to handle large volumes of check receipts, check returns with appropriate batching and interface to in-house mainframe accounting systems. While The Angeles Group has its own programming resources and has created most of their own software, this project required specific financial expertise (i.e., handling batched cash receipts, returns, refunds, etc.) not organic to the organization. In addition, the entire project from initial requirements definition to a tested, installed, and documented system had to be completed in less than five months. Table driven definition of billing cycle parameters, charge codes, etc. Automatic interface of data from three other Angeles Group systems. Batched cash receipts for payments and deposits. Automatic application of deposits and return refunds. Invoicing outside "paying" clients and inside "chargeback" clients. On-line inquiry into customer and transaction status as well as history. Transaction, cash receipts, audit reporting. The system was completed on schedule and was successfully installed at the first client less than five months after project start. Subsequently, the system has been installed at several other large clients. Systems Consultants was able to complete and install this system in such a short period of time because of our ability to use our existing software, subroutines, and techniques from similar applications. Affiliated Research Centers, Inc. (ARC) operates networks of research investigators in Internal Medicine, Neurology and Urology throughout the Unites States. The ARC clinical research site conduct phase two and phase three clinical trials of new drugs and devices prior to RDA approval. ARC is headquartered in Gurnee, Illinois. To successfully manage and control the clinical trials, ARC needs to track a substantial amount of information about individual sites, clients, studies (protocols), patients and visits. A key benefit that ARC provides to its clients is the correct and timely completion of trails in order to lengthen the period in which the product patent is operative. ARC required a data base which could provide access to information to a variety of clinical, managerial and financial personnel within the organization. At the same time, the business is growing and changing rapidly and so the data base needed to be able to handle large volumes of data and accommodate change. Systems Consultants was engaged to develop a large Microsoft Access multi-user data management system. This system tracks clients, sites, studies, patients, and visits. It provides functions for developing study budgets, assigning studies to sites, enrolling patients, recording patient visits, recording payments, calculating commissions and paying sites. Furthermore, the system integrates with the off-the-shelf accounting system, Great Plains, to provide general ledger information. The ARC system has grown significantly since its inception. When ARC expanded from a single network in Urology to networks in Internal Medicine and Neurology, the system was easily modified to support associating and filtering data by these different business segments. When ARC created a Web Site on the Internet to allow its sites to key and access information regarding study and patient progress, the interface was developed in less than two weeks. Eubionics is a partnership founded by noted Oncologist Ronald S. Citron, M.D. Eubionics is primarily engaged in heath education. Eubionics developed a questionnaire which examines personal and family medical history, occupational and lifestyle history, typical nutritional intake and stress. In conjunction with this questionnaire, Eubionics developed an "expert" decision tree of rules to evaluate respondents' answers and assess their risk of cancer, heart and atherosclerosis problems. This expert system is called "CHARRT" - Cancer, Heart, Atherosclerosis Risk Reduction Test. Systems Consultants developed a micro-computer based system which allows medical experts to code their knowledge into a set of rules which examine specific answers to develop a unique heath risk assessment. Rules are described in an English like language. Rules reverence specific answers and make complex logical tests. Rules have powerful consequences. They can be used to print particular passages of text, to accumulate totals (i.c., caloric intake), to perform calculations(i.e., percentage of fat in diet) and even correct answers to resolve ambiguities. A unique risk assessment is printed for each answer sheet. This report uses high resolution laser printing features including graphics, publication quality proportional fonts, and micro-justification. Systems Consultants assisted medical experts in translating the initial expert rules into the rules language. Subsequent modifications to rules and text have been made entirely by the medical experts. CB Commerical Real Estate Group, Inc. (CB Commercial), formerly Coldwell Banker Commercial was founded in 1906. CB Commercial is headquartered in Torrance with offices in more than 85 cities accross the United States. CB Commercial provides its clients with commercial real estated services including Brokerage, Management, Appraisal, Corporate Consulting, Investment Banking and many other services. CB Commercial is in the process of developing major new LAN.PC - based systems to provide the power of the computer to all sales, management and support staff in Brokerage and Management Services offices. field offices. Purchases and payments were frequently delayed. Systems Consultants (SCI) was engaged to review the entire asset management process from purchase through payment and ultimately to disposition of the equipment. SCI staff developed a management report describing the defiviencies of the existing processes and recommending an integrated solution. Several off-the-shelf systems were reviewed but none were a good fir tof the CB environment. IT Management engaged SCI to develop a Windows based integrated solution using Access as the data base. SCI Developed the AIM (Asset Inventory Management) System to track vendors, parts, purchase orders, inventory, invoices and payments. The system is fully integrated from initial request through disposition of the equipment. The volume has increased substantially without a proportional increase in staff. Purchase Orders are now issued on a timely basis and vendor payment times have been reduced. SCI has been retained to maintain and enhance the system.